As an indispensable part of filter press, filter cloth plays an important role during use. But many users don’t know when to change the filter cloth and even don’t know what operation would damage the filter cloth. Firstly, when unloading each time, we should take care of the filter cloth. When we carry or take up it, it should avoid being scratched by hard objects. If there is hard object in the liquid, we should avoid adopting filter cloth made of fiber. Secondly, when not use them, they should be stored in dry and well ventilated area, avoid moist and high temperature. 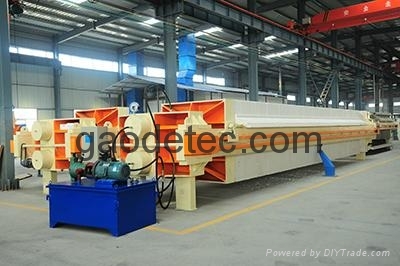 When installation, we need lay them smoothly, make the connection tight between filter cloths and frame of the chamber filter press.